Hello my lovelies! Today I have a very exciting review for you. I was recently contacted by a company that is very dear to me, namely Mont Bleu. 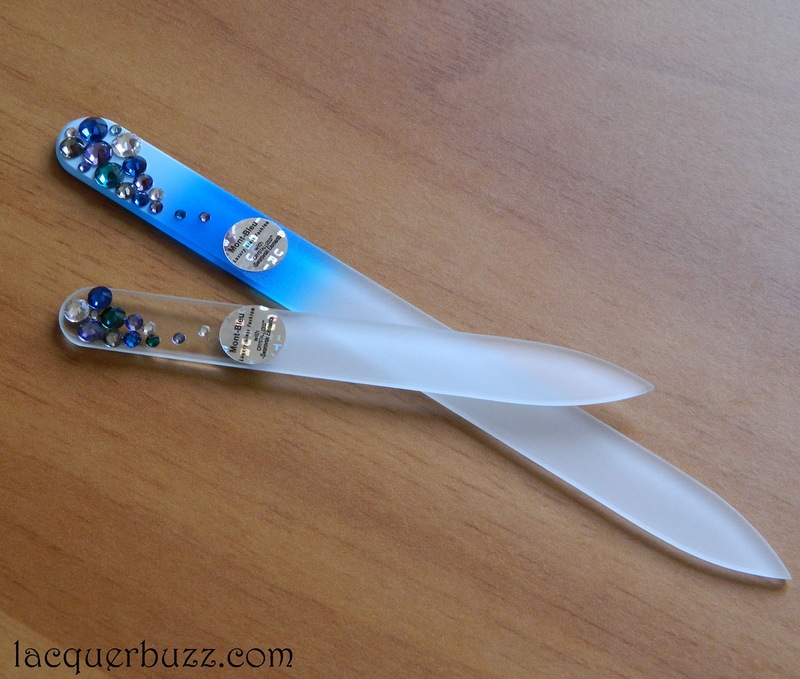 They come from the Czech Republic and make the best glass nail files that I have ever tried. This company isn't new to me so I knew what to expect and couldn't wait to get the products. They sent me a couple of beautifully decorated nail files and also a pair of gorgeous earrings. But since this is a nail blog, let's look at the nail files first. First off, I think it's not the first time I talk about nail files on this blog. They are the only type of nail file I've used in the past 3 years. The reasons are very clear: they do an amazing job, they prevent splitting and they last forever. The only thing is that you need to be careful and not drop them because they can break that way. Other than that, you only need to wash them with soap and water every time they start to wear off to make them as new. Compared to other types of nail files, you won't have to repurchase every few months or weeks because they will remain like new. 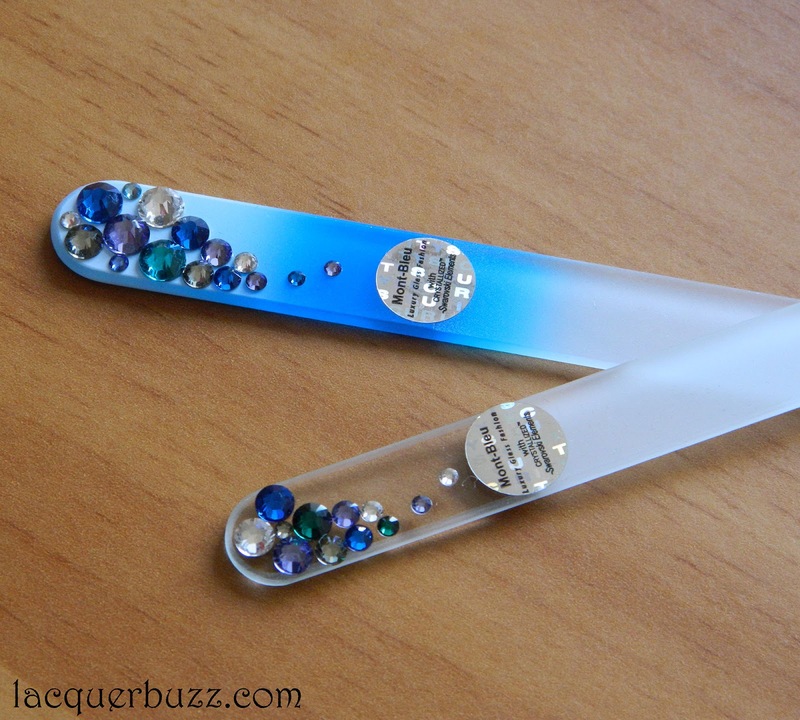 As a glass nail file fan, you can imagine that I tried several ones and know my way around. From everything I've tried, the Mont Bleu ones have been the best ones hands down. I've been using a Mont Bleu glass file that I purchased myself for about a year and I can tell you that it's my most prized nail care tool. It's not as fancy as the ones they sent (they also carry plain ones) but it does the job perfectly. Compared to other nail files I've tried, these are a lot thinner so they fit well in the corners of the nail. Even though they are very delicate they do a great job at taking down from the length of the nail, and they don't feel rough on your nail. Not to mention that the edges are perfectly sealed so there's no splitting whatsoever. The files I received are also decorated with beautiful Swarowski elements. Here's a closer look. They both come with a velvet pouch to protect them. The smaller travel size one is perfect to be kept in your purse. And if you worry about these breaking, I can tell you that they are pretty resistant. I've broken glass files in my life but never a Mont Bleu one. 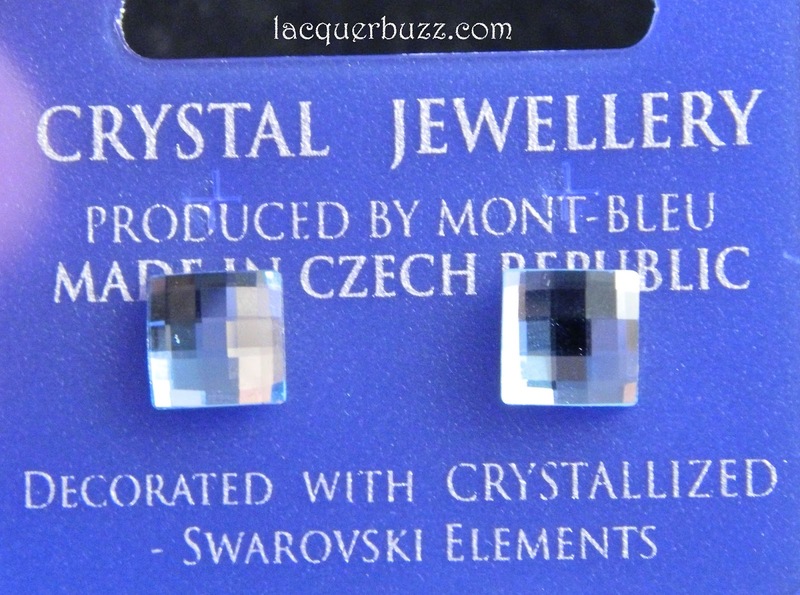 The lovely people at Mont Bleu were also kind enough to send me a pair of stud earrings. I only told them that I liked blue and they chose for me. They definitely did a great job. I really tried my best to capture the beauty of these studs but it was extremely hard. They are made out of Swarowski elements and they are extremely sparkly, which makes them hard to photograph. First off, I love the fact that they are squares. Secondly, they are multifaceted which makes them even cooler. I personally am a fan of dainty jewellery so these are right up my alley. You should really check the jewellery section on the site but beware that you might fall in love with a lot of pieces. I'm really happy that I got to review these amazing products and I've gotten a lot of compliments on the earrings since I've started wearing them. If you are interested in these you can check out the Mont Bleu website. They ship worldwide and they pack everything well so there's no danger for the products. And if you are a fan of Swarowski stuff, there are tons of Swarowski decorated manicure tools and products on the website! P.S. I also have a YouTube video with how I file and shape my nails. You can check it out here. Those are such pretty nail files! 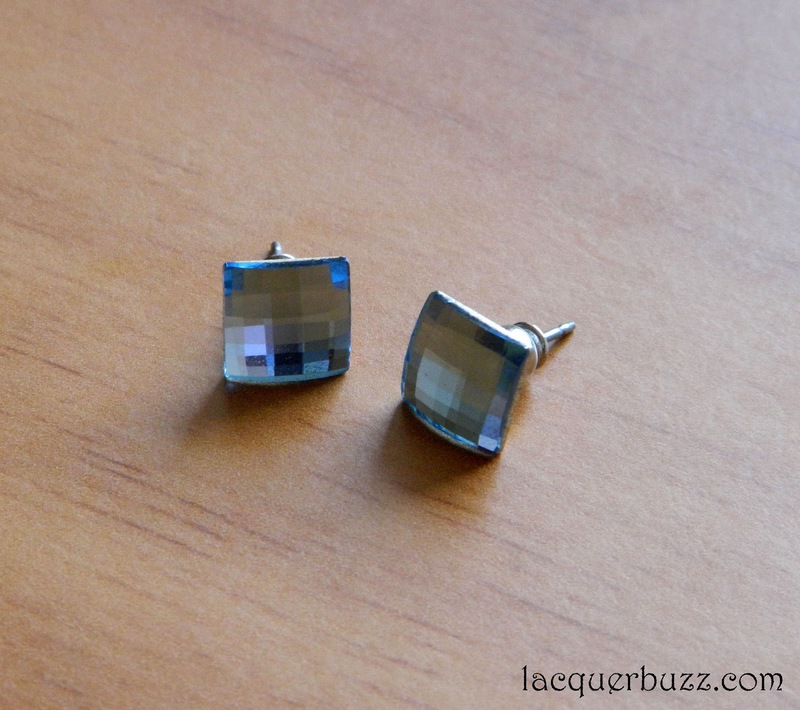 Really nice pair of simple earrings too.